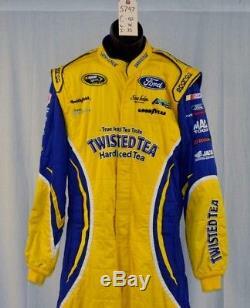 Richard Petty Twisted Tea Sparco Race Used NASCAR Fire Suit #5747 42/36/35. Number of pieces to suit. 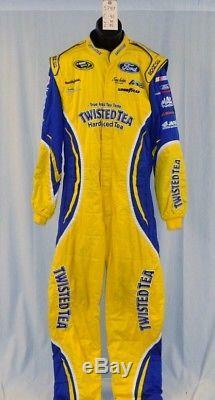 Richard Petty Twisted Tea Sparco SFI-5 Race Used NASCAR Fire Suit #5747 42/36/35. 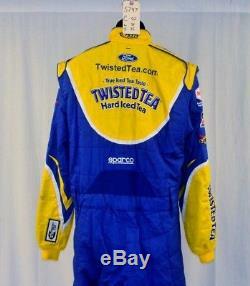 The item "Richard Petty Twisted Tea Sparco Race Used NASCAR Fire Suit #5747 42/36/35" is in sale since Thursday, January 18, 2018. This item is in the category "eBay Motors\Parts & Accessories\Performance & Racing Parts\Safety Equipment\Suits".